A few of months ago, the folks at the Omni Group kindly gave me OmniFocus for Mac and OmniFocus 2 for iPhone to review. This review is thus based on my use of both apps for nearly three months. 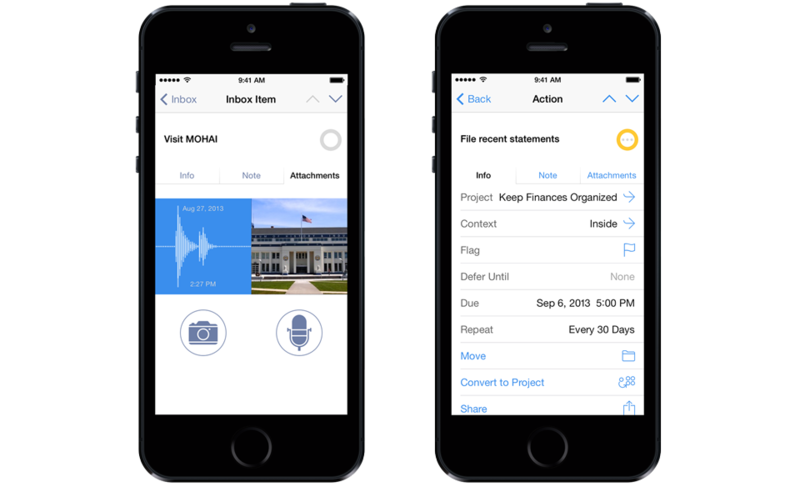 OmniFocus is a productivity app that helps you create and manage tasks and projects. It is designed to simplify the process of converting ideas and those vague ‘to-do’ thoughts into actionable tasks with dates and arranged (where desirable) under project headings. 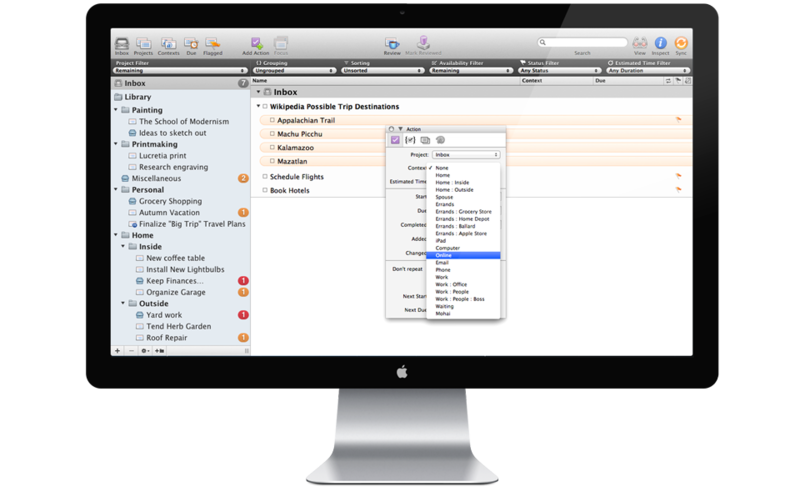 If you have multiple professional and personal projects and tasks going like I do, OmniFocus provides a powerful solution for keeping these things organized and preventing something from falling through the cracks. As of now, OmniFocus is available for Mac, iPhone, and iPad. Having the app on my Mac is essential since where my work is, there my Mac is also. Though I use the iPhone app less, it is useful for two reasons: (1) I am almost always within a few feet of my phone, so when an idea or task pops into my head, I can record it in the app; and (2) The app syncs with my Mac instantly, so next time I open the laptop, all my stuff is there. Using the screenshot below, let me describe a few of my favorite features. On the left hand side one sees various categories. 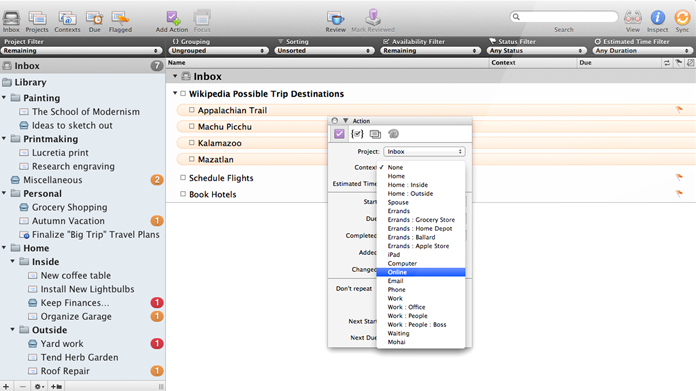 Inbox is the dumping place for all tasks not assigned to any project. Ideally, tasks don’t stay here long as they are either completed quickly or else assigned a project and due date. Under the Inbox are various folders which contain projects. These can be placed inside of each other and organized as needed. The idea of a project is to allow you to order multiple actions required to complete a large task. Along the top of the program you’ll see various icons that take you directly to those locations. Let me describe some of them: Inbox, as described before; Contexts (these are ‘tags’ of sorts to append to tasks, e.g., ‘home’ for tasks that can only be done there or ‘laptop’ for tasks requiring it, etc. ); Due, items coming due; Flagged, items you’ve flagged; Review, items to be reviewed (for various reasons which you can specify). Two other notes: (1) In the above image, the View icon has been selected and there appears a dark grey toolbar (under the icons bar) with various filters. This allows you to filter down to specifics sorts of entries (e.g., “active” projects “flagged” and “due” within the next week). (2) The search bar (at the top-right) is a quick yet powerful way to find something you’re looking for. Another feature I use a lot on the Mac is the quick entry window. By using a shortcut key, it will open and I can quickly insert a task, copy a link, or drag in a file. Click save. Done. This really handy when you are working in another program and need to quickly record an idea. I am very pleased with the performance of both OF for Mac and OF2 for iPhone. (The Mac version will be updated to v.2 soon, which promises a few upgrades). If you have trouble organizing and tracking your tasks and you use your laptop, iPhone, or iPad as a main tool for work, I highly recommend you consider OmniFocus as a solution. And if, by chance, you are into the Getting Things Done, a number of Omni users are finding the two working together quite well. To get a better feel for OmniFocus, try watching some of the other videos available. For other software I use everyday, check out this post on writing software.